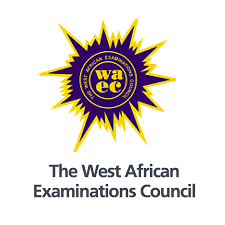 The West African Examination Council (WAEC) has withheld the results of over 15,000 candidates from Niger State that sat for the May/June senior school certificate examinations, despite the fact that the results for all candidates that sat for the examination in public and private schools were released almost a month ago. The decision by the examination body to hold on to the results was not on account of malpractices but because the state government failed to pay the examination fees on behalf of the candidates. THISDAY learnt that despite the fact that all non-indigenes that sat for the examination paid their registration fees of about N14,000 each to the Ministry of Education following the state government’s decision to pay for only the indigenes, the payments made by the non-indigenes were not remitted to WAEC. It was gathered that over N750 million was owed WAEC by both indigene and non-indigene candidates that sat for the examination. WAEC and the other examination body, National Examinations Council (NECO), withheld the results of the candidates that sat for their examinations last year and only released the results after the government settled part of the debt with a promise that the balance would be paid later in the year.